90% of hospitals and 94% of physicians have adopted mobile technology and say it is helping to improve patient safety and outcomes, according to a recent survey conducted by Black Book Research. The survey was conduced on 770 hospital-based users and 1,279 physician practices between Q4, 2017 and Q1, 2018. The survey revealed 96% of hospitals are planning on investing in a new clinical communications platform this year or have already adopted a new, comprehensive communications platform. 85% of surveyed hospitals and 83% of physician practices have already adopted a secure communication platform to improve communications between care teams, patients, and their families. Secure text messaging platform are fast becoming the number one choice due to the convenience of text messages, the security offered by the platforms, and the improvements they make to productivity and profitability. 98% of hospitals and 77% of physician practices said they have implemented secure, encrypted email and are using intrusion detection systems to ensure breaches are detected rapidly. 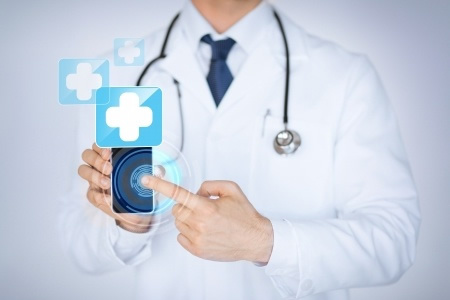 Many providers of secure text messaging solutions have developed their platforms specifically for the healthcare industry. The platforms incorporate all the necessary safeguards to meet HIPAA requirements and ensure PHI can be transmitted safely and securely. Text messaging is familiar to almost all employees who are provided access to the platforms and they make communication quick and easy. However, 63% of respondents to the survey said they are still facing ongoing challenges with buy-in of general mobile adoption strategies and related enterprise technology execution. 30% of respondents said that even though secure methods of communication have been implemented such as encrypted text messaging platforms and secure email, they are still receiving communications on a daily basis from unsecured sources that contain personally identifiable information such as patients’ names and birthdates. Part of the study involved an assessment of cybersecurity and privacy software and services, allowing the company to identify the vendors that are most highly regarded by customers. TigerText, the market leading provider of secure text messaging solutions for the healthcare industry, was rated highly across the board, as were Vocera, Spok, Doc Halo, and Imprivata. Doc Halo was the highest rated secure communications platform provider among physician organizations, with Perfect Serve, Patient Safe Solutions, OnPage, Telemediq, and Voalte also scoring highly. Spok ranked highest among hospital systems and inpatient organizations, with Qlik and Cerner also receiving high marks.